(MoneyWatch) New home construction is up and so are sales, but the sector hasn't returned to normal and builders are getting worried. New housing starts are up 19 percent in August over 2012, according to data released by the U.S. Department of Housing and Urban Development and the U.S. Census Bureau. Housing starts in August hit a seasonally adjusted annual rate of 891,000 -- meaning that construction has begun on 891,000 homes this year, versus 749,000 by the same time last year. Sales are also up: A seasonally-adjusted 421,000 homes were sold in August -- that's 12.6 percent above August 2012. The average price of newly-constructed homes sold hit $254,600 this August, up just .5 percent over last year, but down slightly from July's peak of $257,200. That slight drop from July may be part of the reason the drag in builder confidence, a metric measured by the National Association of Home Builders that asks builders how they feel about prospective buyer traffic and home sales currently and in the next six months. Confidence had been growing for the past four months, but dropped off in September. Home builders are still feeling OK about current sales, but are concerned about future sales and future prospective buyer traffic. "Following a solid run up in builder confidence over the past year, we are seeing a pause in the momentum as consumers wait to see where interest rates settle and as the headwinds of tight credit, shrinking supplies of lots for development and increasing labor costs continue," NAHB Chief Economist David Crowe said. And while new-construction growth is up, it is still lagging far behind historical levels. Builders still aren't back up to pre-crash levels. The 891,000 starts this year may sound impressive compared to the 429,000 in August 2009, when the industry was feeling the full brunt of the recession. But compare that to August 2005, pre-recession, when housing starts hit more than 1.2 million. Today's numbers are still 30 percent below normal. There are a few reasons that new construction is still so far behind: Builders have been having trouble getting crews to take on all the new work, and household formation is also still low -- in 2005 1.8 million households were formed, compared to about 700,000 today, according to the Census Bureau. Further aggravating the situation: There's not a lot of really usable land to build on. And there's one more factor that might be affecting new-home construction. 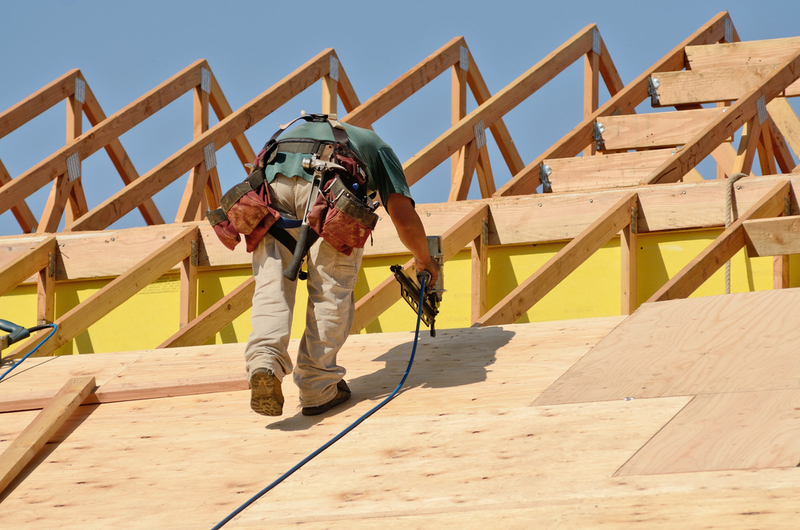 Some builders may be holding off returning to work in order to keep supply on the low side and drive prices upward, according to Mike Orr, director of the Center for Real Estate Theory and Practice at the Arizona State University's W. P. Carey School of Business. He's talked to builders who aren't in a hurry to ramp up production because if too many new homes hit the market at once, that could drop prices. The same goes with building materials. Too many builders demand them at once and suddenly supply is down and prices are up.